Tom Ziebro is a Christ follower, husband to his Army sweetheart Lora, and a father to five incredible kids. He was born and raised in Cleveland, Ohio. Tom joined the U.S. Army in 1999 and served his country until being honorably discharged in 2004 and settling in Maryland with his family. It was in the Army that he really started to grow into a man of value and started to shed the foolishness of his youth. His journey into being a man of character and a trustworthy leader began as he sought to be a man measured by his devotion and commitment to God, his wife and his family. After reading "Rich Dad, Poor Dad" he saw the power and freedom behind running his own business and ultimately, being an investor. He saw both success and failure in his initial business ventures and through both experiences, developed a greater understanding of business and the importance of financial freedom. Overall, he was hooked by what he was learning and the possibilities that financial freedom afforded him. After seeing how difficult it was to build and then afterward, babysit a business, he started building businesses that were mostly passive in nature. The idea of "mailbox money" intrigued and excited him. 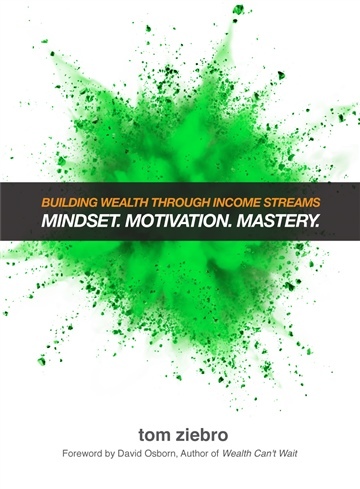 He learned that it was far more powerful to have passive income than it was just to be rich. He starting adding a few new streams of income each year so that he could live the life of his dreams. With each new stream, he saw his net worth increase and the possibility for an amazing life get closer to his reach.His real business passion is in coaching other men. He runs a holistic coaching program because he strongly believes that for a person to grow, they need to develop in all areas of their life. His focus is on helping men become great husbands and fathers and in charisma coaching for executives. He believes that there has never been a better time for people to use the power of globalization and the Internet to build powerful, sustainable businesses that deliver value to their customers and income to their owners.